The Amish Concord Pub Table has a sleek and elegant style stemming from it's gently curved hardwoods legs and flowing into the smooth, beveled edges of the hardwood table top. 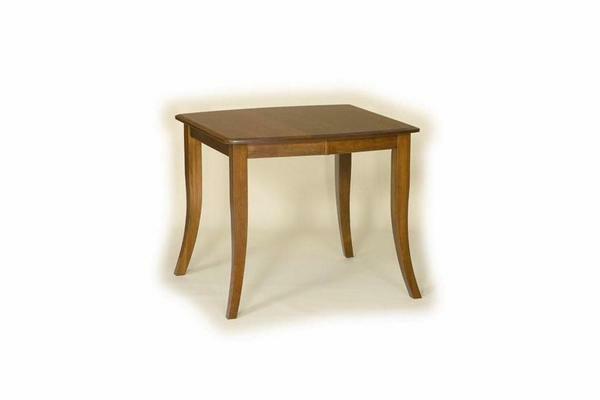 The Concord Pub Table has a number of options to help you meet you build your designer table such as size, hardwood, and choice of finish. If you have any questions, feel free to contact DutchCrafters to speak with an Amish furniture specialist at 1-866-272-6773 or stop by our store in Florida.